Roger Hudson describes advances in British military aviation technology in the years before the Second World War. 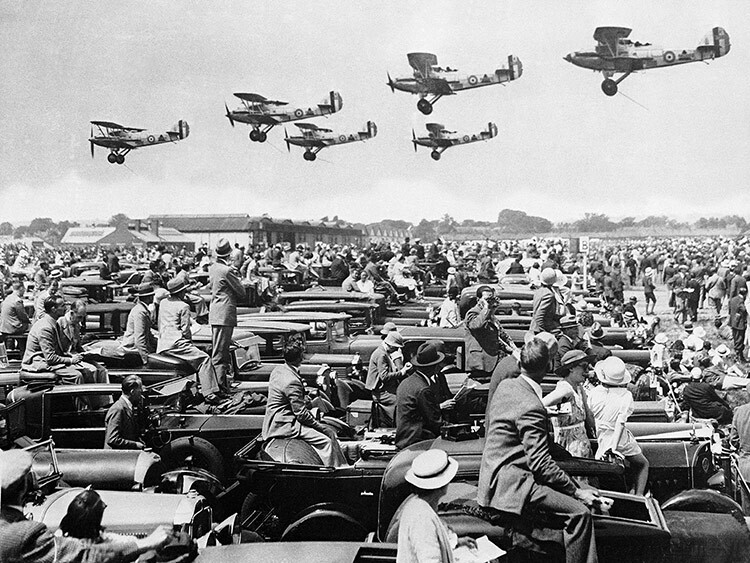 Hawker Demons fly low over spectators in the enclosure reserved for those who have come by car at the annual RAF Display held at Hendon Aerodrome in 1934. The Demon is a fighter-bomber with an all-metal body and fabric-covered wings. It entered service in 1933 and, powered by a supercharged Rolls-Royce Kestrel engine, it has a top speed of 184 mph, making it faster than most contemporary fighters. It has two forward-firing machine guns and a third facing backwards, operated by the observer/bomb aimer. Its bomb load is modest: eight 20-pounders. As well as the Demons, spectators will have seen the Prince of Wales arriving, piloting his own aircraft, Bristol Bulldog fighters attacking bombers, a Cierva Autogyro taking off, some parachute drops and the destruction of a mocked-up building, together with the shooting down in flames of an observation balloon as a finale. But it will turn out that the most significant sight is of a lone Vickers-Supermarine Type 224, a clumsy open-cockpit monoplane with cranked or gull wings and a fixed undercarriage enclosed in trouser fairings or ‘spats’. It had been subject to endless delays and, when finished, was a disappointment to the Air Ministry and to its designer, R.J. Mitchell, who was trying to meet the specification issued by the Air Ministry in 1931 for an all-metal plane mounting four machine guns, capable of 195 mph minimum at 15,000 feet and with a minimum ceiling of 28,000 feet. Little of the experience he had gained from streamlining Supermarine’s series of Schneider Trophy float planes (the last could reach 400 mph) had gone into it, perhaps because Mitchell had major surgery in 1933 and its Rolls-Royce engine was inadequate. The contract specification was to go to the Gloster Gladiator, last of the RAF’s biplanes, which first flew in September 1934, but the Air Ministry did not lose faith in Mitchell, who went back to the drawing board to design the Spitfire. Sydney Camm, the Hawker designer who had produced the Fury fighter and the Hart bomber, of which the Demon was a modification, was also in the running at this time, but without Air Ministry backing. Only when he came back in September 1934 with his design for a 300-mph retractable-undercarriage monoplane powered by Rolls-Royce’s new Merlin engine did the Ministry order a prototype, the Hurricane, which finally flew in November 1935. The Hurricane’s simple wood-and-fabric construction and use of many components from Hawker’s recent biplanes, meant that it could be produced in numbers from 1937 on, while the more sophisticated Spitfire took longer. The Hurricane’s thicker wings could also accommodate with ease the eight machine guns which it was decided in August 1934 were required. The efforts of these designers might have been in vain had there not been a major change of climate in Whitehall at this period. When Stanley Baldwin made a speech in 1932 claiming ‘the bomber will always get through’, he was only echoing the orthodox ‘Trenchard Doctrine’ that the RAF should concentrate on bomber attacks on enemy terrain and not waste much effort on fighter defence. Luckily Neville Chamberlain, the Chancellor of the Exchequer, and Sir Thomas Inskip, Defence Coordination Minister, saw the light and forced through the fighter squadron expansion scheme in July 1934, just when the League of Nations disarmament talks collapsed and not long before Gӧring revealed that Germany had created an air force in direct contravention of the Versailles Treaty. 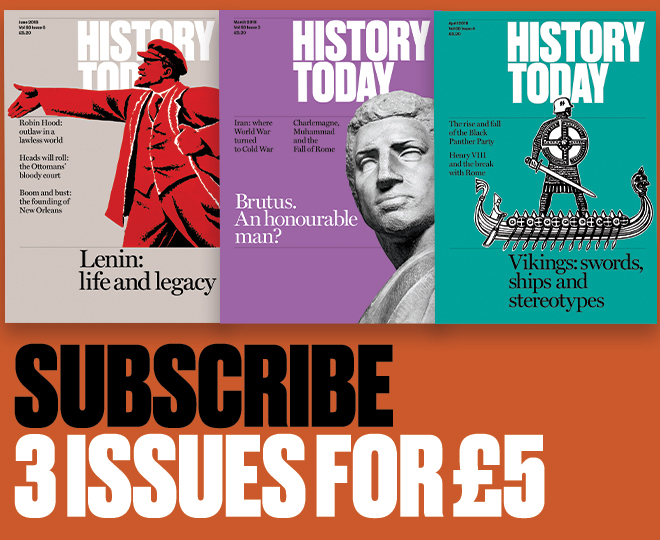 Churchill’s contribution to all this was unhelpful: he thought that a two-seater fighter with a gunner in a turret located behind the pilot who could then fire at planes ‘on the beam’ to either side, was the key. A number of Demons were fitted with turrets without satisfactory results, but this did not prevent the development of the Boulton Paul Defiant, with no forward armament but a power-driven four-gun turret capable of firing in any direction. It became a sitting duck for the Luftwaffe in 1940.